Who was St. Joseph? Was he just a passive, incidental figure in the drama of salvation? On the contrary, in every way that Jesus needed a father, St. Joseph was that for him. And how overwhelming it must have been for Joseph to be asked to stand in the Father’s place! No man has ever been asked to do so in such an unthinkable way. Every priest, and certainly every man who is a father (biologically or otherwise), should take this to heart. Caster’s book provides a unique, in-depth presentation of Joseph from the perspective of the evangelical counsels and the theological and cardinal virtues. Each section begins with an explanation of what each counsel or virtue means and then shows how Joseph models it for us. The descriptions of St. Joseph’s life and character found in this book, while rooted in the Scripture passages that mention him, are chiefly inspired by Jesus, who spent the majority of his life at home with Joseph and Mary. For years, the three of them lived, prayed, celebrated, studied, and shared, all the while uniting their lives more intimately with God’s own. Those years in Nazareth were a real preparation for the foundation upon which Jesus would build his saving ministry. And as much as Joseph and Mary offered Jesus, he offered them an ever-expanding awareness of the God that had changed both their lives. The reciprocity of love that perfectly defines the home in Nazareth is the very pattern for all family life—and therefore of the Church itself. Let Fr. Gary Caster introduce you to the man who risked everything to care for Mary and her Son, safeguarding them from harm and cherishing them with a pure and true love. 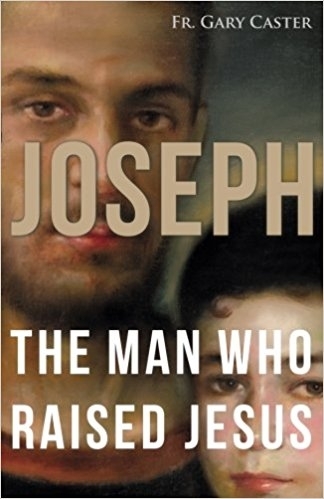 Joseph was a flesh-and-blood testimony of what it means to live according to the Father’s will with one’s mind and heart centered on Christ.